Yoshiko has lead the coveted LongHouse Reserve’s Insiders Tours with Jack Lenor Larsen (LHR Founder), and Matko Tomicic (LHR Director) for a group of LongHouse Reserve’s patrons, art collectors, garden enthusiasts, historians, and designers. The tours have taken place in Japan four times, and once in India. Each of these tours has been a unique experience, and a once-in-a-lifetime opportunity to engage with people, history, and culture of the country visited. And there have been many repeat travelers in this program! Contact Matko Tomicic (matko@longhouse.org) for information on future tours. Yoshiko leads Slow Fiber Studio™ Tours, which are educational immersion programs focusing on the culture of and small scale industry of textile making. 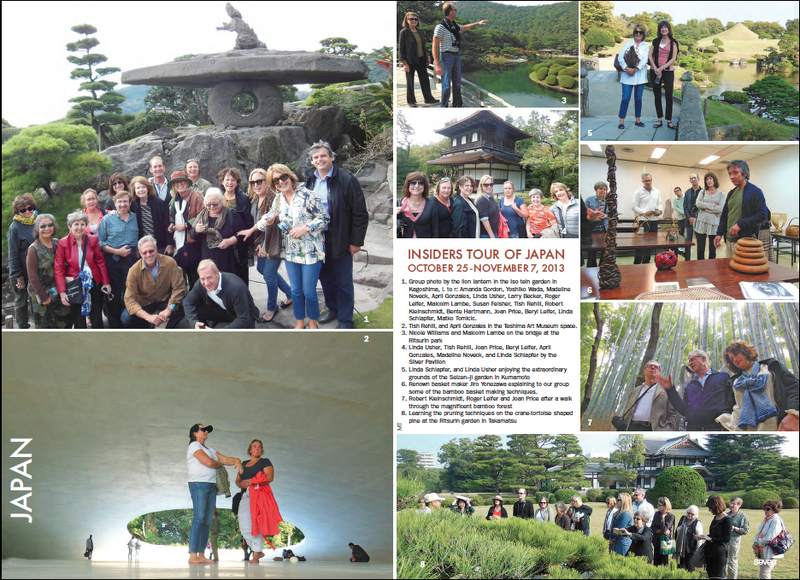 Thus far, tours have taken place in Kiryu, Japan; south India; Puglia, Italy; Arimatsu, Japan; and Lauris, France. Yoshiko has decades of experience developing and planning highly specialized art & cultural tours in Japan and the Indian sub-continent. Clients include a variety of esteemed institutions and organizations such as: LongHouse Reserve; The Textile Museum; Textile Society of America; SF MOMA; Craft & Folk Art Museum of San Francisco (now Museum of Craft & Folk Art); and more.